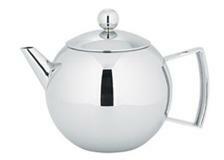 This attractive high polished Avanti infuser teapot is both stylish and functional. Brew loose leaf tea through a fine mesh infuser. 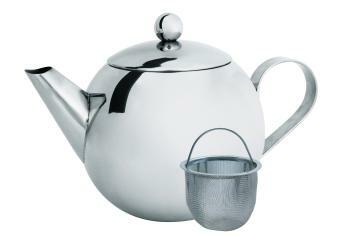 The beautiful stainless steel design keeps your tea nice and hot. This high quality, contemporary style stainless steel teapot includes a mesh infuser and is ideal for brewing full-flavoured loose-leaf tea.